SOUNDVIEW, Bronx (WPVI) -- The night manager at a Bronx McDonald's is under arrest, accused of selling drugs to an undercover police officer inside the franchise. The incident happened at the restaurant on Bruckner Boulevard in the Soundview section. Authorities say Frank Guerrero made eight sales of cocaine to an undercover officer in increasingly larger quantities, amounting to nearly $10,900 worth of the drug. During the last and largest transaction, Guerrero allegedly sold roughly 100 grams of cocaine and a quantity of crack cocaine to an undercover officer for $6,520. Guerrero is charged with criminal sale of a controlled substance, criminal possession of a controlled substance, criminally using drug paraphernalia and unlawfully dealing with a child. The arrest was the result of a three-month undercover investigation dubbed "Operation Off the Menu," which authorities say revealed that Guerrero, a night shift manager at the 24-hour location for at least eight years, allegedly used his position as a cover for conducting narcotics transactions. Although restaurant customers are only able to order at the drive-through window during the night shift, Guerrero allegedly gave special treatment to his drug customers, unlocking the front door and inviting them into the restaurant. On two occasions, police say Guerrero conducted drug sales to an undercover officer over the restaurant counter. 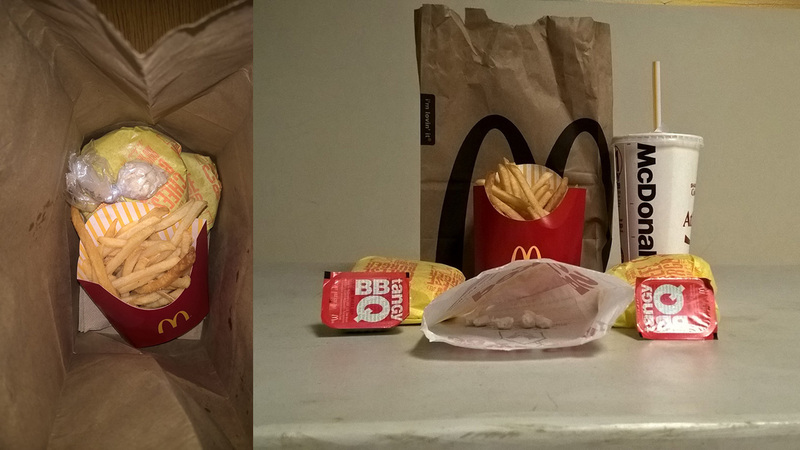 He allegedly concealed cocaine within a cookie bag, which he placed inside a larger McDonald's order containing two cheeseburgers, a soda and fries. Other McDonald's employees were working at the restaurant at the time. Authorities say a search of Guerrero's home in the Pelham section recovered 200 grams of cocaine and approximately $5,300 cash. The money was found inside a dresser in a child's play room, and a child of approximately 2 and the child's mother, Leidy Cabral Castillo, were present at the residence. The mother was placed under arrest on charges of criminal possession of a controlled substance, criminally using drug paraphernalia and unlawfully dealing with a child. "The actions of this employee are unacceptable and will not be tolerated in my organization. We are cooperating with NYPD investigation and defer all further questions on this matter to them."